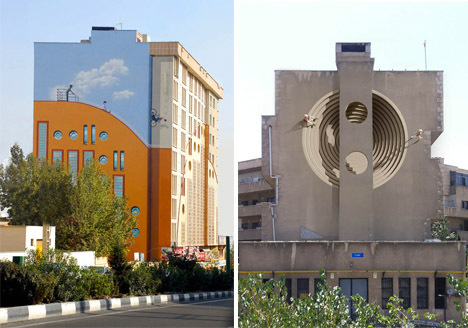 The blank concrete facades of urban Tehran offer an irresistible canvas for playful large-scale murals that seem to bend reality in unexpected ways. A city of 12 million people that has been politically and economically isolated by Western powers for decades, Iran’s capital isn’t exactly known for a sense of warmth and fun. 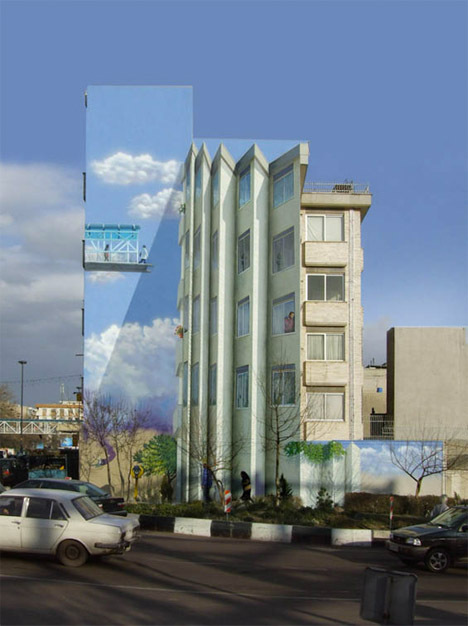 But artist Mehdi Ghandyanloo is helping to change that, with the blessing of Tehran officials. 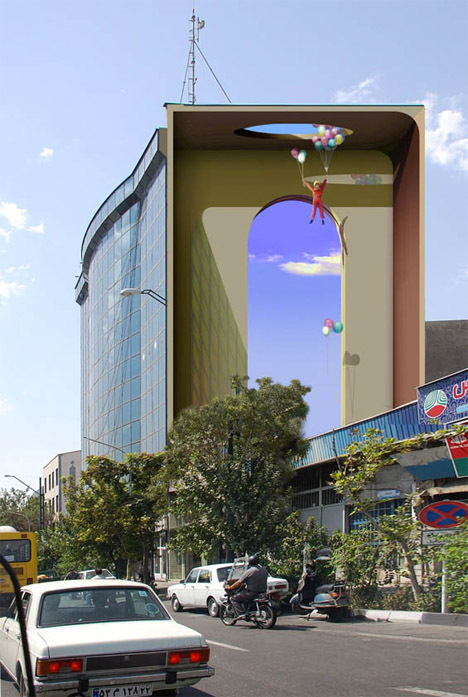 Optical illusions make it look as if bicyclists are riding up the sides of buildings, children climbing sixth-story window frames, monstrous goldfish emerging from underwater structures in oversized aquariums. Some buildings appear to be folded like accordions, others playing host to all sorts of gravity-defying activities. 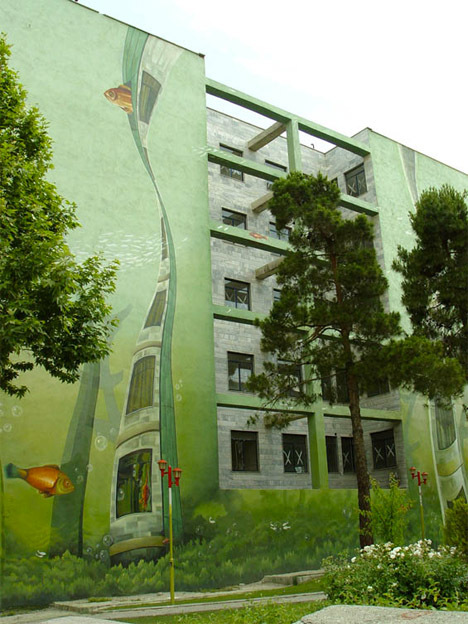 Many of the murals have a decidedly Dali-esque feel. 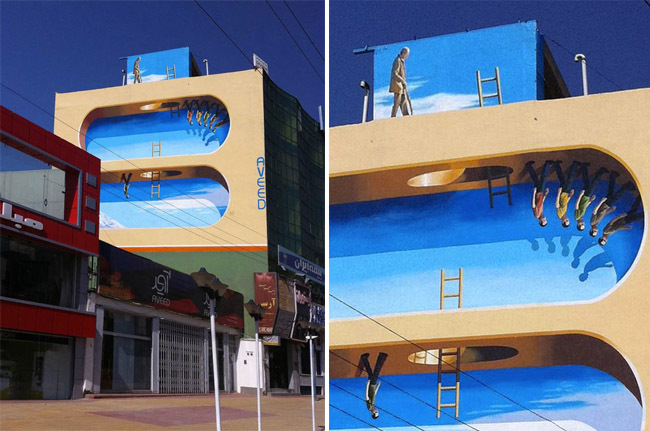 In ‘Life Cycle,’ ladders float within ocular cut-outs connecting one level of an open elliptical space to the other, while men walk along the ceiling against a bright blue sky. 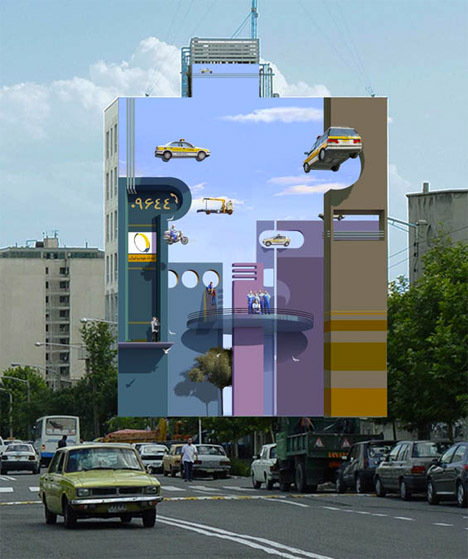 Detailed views of dozens of these murals can be seen on the artist’s Behance page.